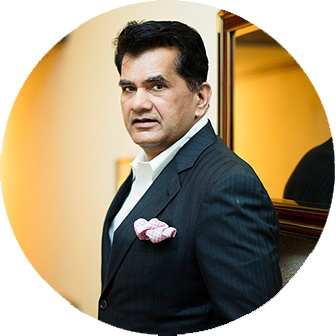 Chairperson, Altico Capital India Ltd.
Chief Project Manager, Dedicated Freight Corridor Corporation of India Ltd.
Mr Amitabh Kant is the CEO of NITI Aayog (National Institution for Transforming India) since 2016. Before this, he was the Secretary, Department of Industrial Policy and Promotion (DIPP). 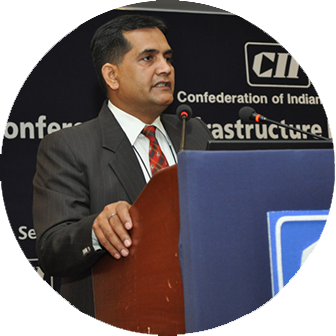 Amitabh Kant is a member of the Indian Administrative Service, IAS (Kerala Cadre: 1980 Batch). He is the author of “Branding India – An Incredible Story” and has been a key driver of “Make in India”, Startup India, “Incredible India” and “God’s Own Country” campaigns which positioned and branded India and Kerala State as leading tourism destinations. These campaigns have won several international awards and embraced a host of activities – infrastructure development, product enhancement, private-public partnership and positioning and branding. Amitabh Kant has worked as Chairman & CEO, Delhi-Mumbai Industrial Corporation, CMD – ITDC, Joint Secretary – Ministry of Tourism, Government of India, Secretary – Tourism, Government of Kerala, Managing Director, Kerala State Industrial Development Corporation, District Collector, Kozikhode and Managing Director, Matsyafed. 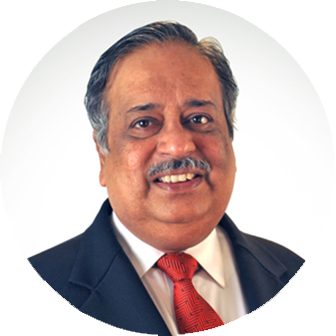 M. Damodaran has held a number of important positions in the Central and State Governments and in India’s financial sector, including Chairman, Securities Exchange Board of India (SEBI), Chairman, Unit Trust of India (UTI), Chairman, Industrial Development Bank of India (IDBI), Chief Secretary, Government of Tripura. After successful stints at UTI, IDBI and SEBI, he has set up Excellence Enablers Private Limited (EEPL), a Corporate Governance and Board Advisory consultancy firm. His pioneering role in promoting Corporate Governance in India invests EEPL with an experience-based leadership role in corporate governance advisory work. In addition, he is presently a consultant, advisor, coach and mentor and sits on the Boards of some leading companies as well as on the Advisory Boards of some foreign entities. He is Practice Professor of Eminence at International Management Institute (IMI), Delhi He is the founder Chairman of the Indian Institute of Management Tiruchirapalli and the Chairman and one of the promoters of Glocal Healthcare Systems Private Limited, a unique approach for providing quality healthcare in rural areas. He is presently also chairing the Government of India Task Force to set up the Resolution Corporation of India, as an instrument to identify incipient problems and take corrective action in regard to failing institutions. His recent initiative, Non-Executive Directors in Conversation Trust, NEDICT, is the first exclusive forum, worldwide, for Non-Executive Directors (NEDs) to articulate their concerns and seek solutions based on shared experiences. 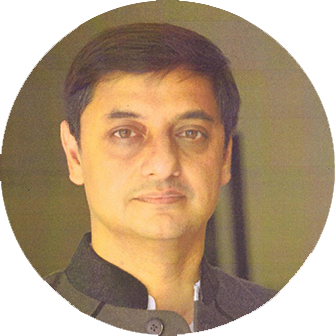 Sanjeev Sanyal is an internationally acclaimed economist and best-selling author. He is currently the Principal Economic Advisor to the Government of India and also serves as the Co-Chair of the G-20 Framework Working Group. Prior to joining the government, he spent two decades in the financial sector and was Global Strategist & Managing Director at Deutsche Bank. He was named Young Global Leader by the World Economic Forum in 2010. He is also a well known environmentalist and urban theorist. In 2007, he was awarded the Eisenhower Fellowship for his work on urban dynamics. He has been a Visiting Scholar at Oxford University, Adjunct Fellow at the Institute of Policy Studies, Singapore and a Senior Fellow of the World Wide Fund for Nature. In 2016, he served in the Future City Sub-Committee of the Singapore government tasked with building a long-term vision for the city-state and is currently a member of the committee tasked with writing a new National Urban Policy for India (to be published 2018). Aarushi Batra is currently the Executive Director for business development and Controlling at SPM Autocomp Systems Pvt Ltd. She co-founded Robin Hood Army, a fast growing volunteer based organization that focuses on providing excess food from restaurants to the less fortunate. She is an integral part of the social media and international operations for RHA responsible for setting up several organizational chapters across the country. 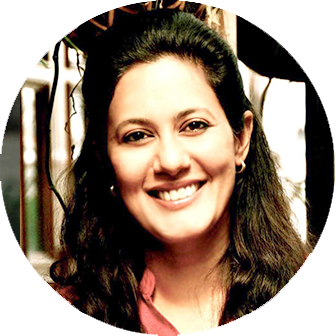 She has prior experience of working with organizations such as Citifinancial and PwC India. Aarushi is an MSc graduate from the prestigious London School of Economics. 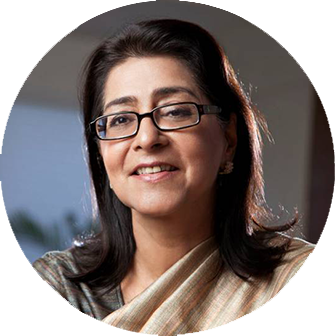 NainaLal Kidwai is Chairman Altico capital india Ltd and of Advent Private Equity India Advisory board; a Non-Executive Director on the boards of Max Financial Services, CIPLA, Nayara Energy and Larsen and Toubro and Past President of FICCI (Federation of Indian Chambers of Commerce & Industry). She retired on December 2015 as Executive Director on the board of HSBC Asia Pacific and Chairman HSBC India and in April 2018 from the global board of Nestle. An MBA from Harvard Business School, she makes regular appearances on listings by Fortune and others of international women in business and is the recipient of awards and honours in India including the Padma Shri for her contribution to Trade and Industry, from Government of India. Her interests in Water and the environment are reflected in her engagements with The Shakti Sustainable Energy Foundation, International Advisory Council of the Inquiry of United Nations Environment Program (UNEP), Global Commission on Economy & Climate, Chair of FICCI Sustainability Energy and Water Council and Chair of the India Sanitation Coalition. She has authored 3 books including the bestsellers “30 women in Power: Their Voices, Their Stories” and “Survive Or Sink : An Action Agenda for Sanitation, Water, Pollution, and Green Finance”. Dr.Chhavi Rajawat is the Sarpanch/elected head of the Village Council of Soda located in the District of Tonk, Rajasthan, India. She was first elected Sarpanch in February 2010 and re-elected for a second term in February of 2015 courtesy the demand of the village residents. Rural India is the beating heart of the world’s largest democracy, but its people are cut off from India’s development in many ways. India’s biggest challenge is to bridge the growing rural urban divide. Sarpanch Rajawat’s aim is to make Soda a model village by pursuing an integrated, sustainable, gender-balanced development that can be replicated in other villages. To accomplish her goals to bridge that divide Sarpanch Rajawat is actively seeking support in the form of expertise as well as funds / adoption of projects from the government as well as non-government sectors including corporations, NGOs and individuals to collectively work towards creating the model village. During her first term, Sarpanch Rajawat was successful in bringing transparency into the council office, water to a drought hit region, constructing toilets, promoting plantation, construction of roads, opening a bank and encouraging women and girls to also open accounts and inculcate the habit of saving, forming self help groups, providing a better infrastructure to the government run girls’ school, saving a girls’ college in the village from shutting down, mobilizing parents to educate their children, providing electricity to every household and, introducing a waste management project among other accomplishments. Sarpanch Rajawat’s focus during her second term is on improving the quality of education (at anganbadis, primary school level as well as in the government run high school where students are only taught Hindi Literature, Sanskrit Literature and Geography); introducing vocational training to help provide alternate sources of income; improve the ecological balance and, agricultural practices. For all of this she is still seeking support. 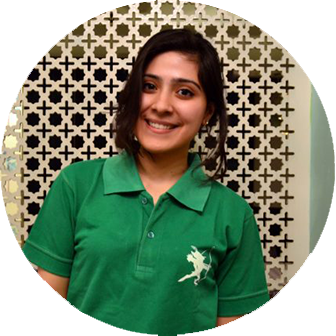 Sarpanch Rajawat is an alumna of Rishi Valley and Mayo College Girls’ School. She graduated from Lady Shri Ram College, New Delhi and followed it up with a degree in business management from Pune. She worked in the corporate sector for about seven years during which she undertook myriad roles in media, hospitality, and the telecom industry. Sarpanch Rajawat is an Aspen fellow and a Young Global Leader with World Economic Forum. She co-chaired the World Economic Forum on India and was recently invited to be part of the first Obama Summit held in Chicago and Town hall in Delhi. Sarpanch Rajawat received the First Ladies National award from the Hon’ble President Shri Ram Nath Kovind and Ministry of Women & Child Development at Rashtrapati Bhawan in January of 2018. She was also awarded Reebok’s Fit To Fight award by Ms.Kangana Ranaut and has received many others including the Young Indian Leader award by CNN/IBN; she has been honored by Shri M.Venkaiah Naidu - Hon’ble Union Minister of Parliamentary Affairs, Urban Development, Housing and Urban Poverty Alleviation - with ASSOCHAM Ladies League’s Grassroots Women of the Decade Achievers award; Bharat Ratna Rajiv Gandhi Yuva Shakti National award; All India Woman Achiever’s award; India TV’s Yuva award and; honored on Technology Day by Former President Lt. Shri APJ Abdul Kalam. B.K. 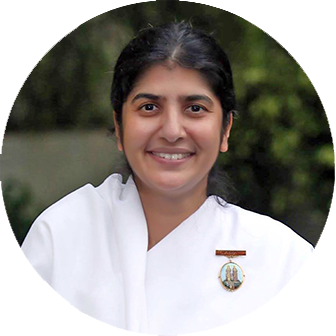 Shivani is a practitioner of Rajyoga Meditation of the Brahma Kumaris for over 20 years. Her practical application of spiritual principles on the TV programme 'Awakening With Brahma Kumaris', for over 10 years has empowered people to overcome issues of emotional distress, depression and relationship conflicts. She was honored with Women of the Decade Achievers Award by ASSOCHAM’S Ladies League for her Excellence in Empowering Spiritual Consciousness. She has been appointed as Goodwill Ambassador by the World Psychiatric Association. Brij Nandan Yadava is the Executive Director - Vice Chairman Office at DLF Limited, India’s largest real estate company. Mr. Yadava has 26 years of immense experience in portfolio management for various business models (Residential, Commercial, Office and Mall). He is involved in Business plan formulation at corporate level and managing billion dollar plus portfolio at National and International Level, with current development of state of art Projects like Camellias, Crest & Horizon center (totaling to nearly 15 Million square feet space) and accounting for 70 % of the total business profitability under his belt. He is a master in managing end to end solutions for Real Estate and Infrastructure Sector. In his role with Vice Chairman Office, he is responsible for Integration, Monitoring, analysis, evaluation of pertinent issues of respective business units and Stakeholder Management for DLF. He is a renowned professional with overseas global experience and known for bringing global best practices to India through best global consultants. As part of community & industry partnerships, Mr. Yadava is a Harvard Business School Alumni and a Fellow of the Royal Institution of Chartered Surveyors (FRICS). Vickram Nagi heads the Global Technology Services, Client Innovation Centers in IBM India. He is also the Global Service Owner of Integrated Managed Infrastructure (IMI), which provides managed services for Cloud and Hybrid IT environment. In his earlier role, Vickram led the growth and consolidation of the Delivery Center of IBM in Delhi and led successful delivery transformation in India. He was also part of the elite global team assessing and recommending IT security and IT transformation globally as part of the Smarter City project. Vickram spent a decade in Australia, first as a student, then as an IT professional. He worked extensively in the Australian Telecommunication sector, managing and setting up delivery centers and data centers for tier 2 and 3 telephony fixed line, mobile, and internet companies. Vickram earned his Management Degree, specializing in Operations Management, Strategy, and MIS, from Victoria University – Australia. He currently lives in New Delhi with his wife and two children and enjoys traveling and white water rafting when time permits. Sanjeev is the founder of Naukri.com, India’s leading job site. The company also runs Jeevansathi.com, 99acres.com, and Shiksha.com. In addition it has made strategic investments in promising web start-ups such as Zomato, Policybazaar, Meritnation and Happily Unmarried. Sanjeev graduated from IIM Ahmedabad in 1989 and quit his job for entrepreneurship eighteen months later. For the first seven years he drifted and did a number of small businesses – from salary surveys to databases, to feasibility studies, to training. Finally in 1997 the company launched Naukri.com and transformed itself into an Internet company. Starting off from a servant quarter above a garage and seed capital of two thousand rupees, the company grew and attracted investment from leading venture capitalists. It was the first Internet company to list on Indian stock exchanges. Today The company employs over 3500 people and has a market capitalization of over USD 2.0 bill. Prior to starting Naukri, Sanjeev had worked in advertising with Lintas and in consumer marketing at Glaxo SmithKline. For a brief period, he was the Consulting Editor of Avenues – the careers supplement of ‘The Pioneer’ newspaper. He along with his partner Hitesh Oberoi won the “Ernst and Young – Entrepreneur of the Year” award in 2008 for Business Transformation. He also won the Dataquest Pathbreaker Award & the Teacher’s Achievement Award for Business in the same year. In 2011 he was conferred the Distinguished Alumnus award by IIM Ahmedabad and in 2012 he was honoured with the CF Andrews Distinguished Alumnus award by St. Stephen’s College. He is also the recipient of Lakshmipat Singhania – IIM Lucknow National Leadership Award as Young Leader in the Business Category for the year 2012. He is a member of the Board of the Centre for Innovation Incubation and Entrepreneurship at IIM Ahmedabad. In April 2017, Outlook Magazine selected him as one of India’s fifty greatest CEO’s ever. 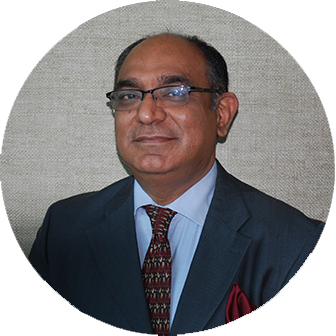 Sanjeev has served as the President of the Delhi chapter of TiE [The Indus Entrepreneurs]. He has also served as a member of the Global Board of Trustees of TiE. He serves on the National Council of AIMA. He has been Chair of the Internet Council of NASSCOM. Sanjeev is a founding trustee of Ashoka University. He has also served on the expert committee for the SIDBI Fund of Funds for startups. He is also a member of the Board of Chintan - a not for profit organization that works with waste pickers in Delhi. He also supports 1947PartitionArchive – a not for profit that is building an oral history archive consisting of video interviews of people who experienced partition. Mr Dhananjaya Tambe started his career in 1985 as a Probationary Officer in Corporation Bank in Mangalore, where he was posted in the Agriculture and Rural Development Dept. in the Head Office of the Bank. In 1986 he joined the Central Bank of India as a Probationary Officer and served in their Pune City, Sarole and Itwari (Nagpur) branches. Thereafter, he served in the Human Resources Department of the Bank’s Local Head Office in Ahmedabad, where he was instrumental in introducing the concept of computer-based Human Resources Management System, and codifying the Bank's instructions related to human resources. Mr Tambe served as the Branch Manager of Chavaj GNVFC Complex branch near Bharuch in Gujarat from 1999 to 2001, and during his tenure the branch was computerized and also won the Best Customer Service award. For the outstanding work done in Chavaj GNVFC Complex branch, he was elected to the Chairman’s Club of the Bank. During his tenure in this branch, he introduced the concept of centralised processing of retail loans on automated platforms. In 2001, he was posted to the Bank's New York branch as Vice President (Deposits and Remittances). During his tenure at New York branch, he was instrumental in upgrading the policies and procedures of the branch, especially those related to BSA/AML. ACH as a mode of remittance was introduced during his time. He developed a computer program for handling redemption of India Millennium Deposits in December 2005, to ensure that the process is fully compliant with the U.S. regulations. Upon his return to India in 2006, he was posted as the Regional Manager of Surat region in Gujarat, and had 45 branches under his control. He was instrumental in expanding the presence of the Bank in Surat, by adding 14 new branches in 2007. In 2008, he was transferred to the Bhopal Circle of the Bank as the Circle Development Officer and contributed to the strengthening of the Human Resources Management System, and the fixed assets inventory management system of the Bank. In 2009, Mr Tambe was posted to the Global IT Centre of the Bank for leading the Integrated Payment Hub Project. In 2011, he became the Dy. General Manager of Internet Banking Department, and during his tenure, many new functionalities were added to the Internet Banking services. He introduced certain features in Internet Banking which ensured that the Bank was able to achieve a zero-fraud status in Internet Banking since July 2012. He was also instrumental in setting up of a Dedicated Accounting Unit for Internet Banking transactions, so that transactions with third parties are properly reconciled. He served as General Manager (IT-Infrastructure) from 2013 to 2014, and was instrumental in introducing wireless connectivity for the Bank’s branches. In 2014, he was appointed as General Manager of Network-1 in the Kolkata Circle of the Bank and was responsible for the business operations of the Bank in the city of Kolkata and the districts of North 24 Paraganas, Nadia and Murshidabad. 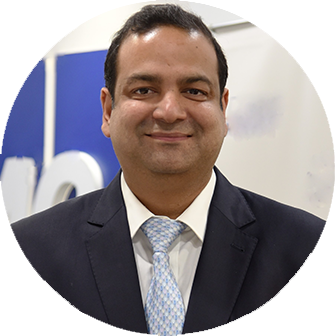 In 2015, Mr Tambe was elevated to the rank of Chief General Manager, and was posted as Chief General Manager (IT-Operations) of the Bank at the Global IT Centre at Belapur. His vertical handled, among others, Financial Inclusion and Government Payment Schemes, the back-office operations of Core Banking System, Pension Payment System, the Complaint Management System, the User Acceptance Testing, management of Human Resources of IT Department, Human Resources Management System, the physical infrastructure of the IT Department, and the Reconciliation and Settlement Systems. From August 2016 till April 2018, Mr Tambe was Chief General Manager (IT-Transformation, Collaboration and Marketing) and is responsible for the Innovations, Social Media, Project Management, marketing of I.T. products, etc. Since May 2018, he has been elevated to Dy. Managing Director & Chief Information Officer. 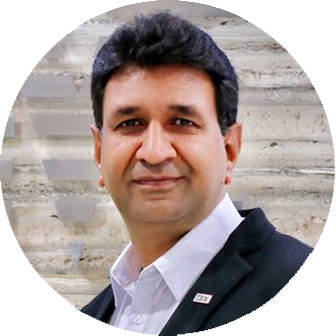 Neeraj has over 20 years of experience, and is closely networked with his counterparts in member firms, having worked in multiple geographies, including the U.S., the U.K., Qatar, Dubai, Poland, Turkey, Singapore, Malaysia, and Vietnam etc. He has diligently focused on spearheading leadership interventions that have had demonstrable and direct results anchored to business growth mandates and organizational effectiveness. Neeraj manages key real estate accounts in India as well as select overseas practices. He is responsible for developing relationships with owners and professional management on these accounts. Prior to joining KPMG in India, he has worked as the head of the internal audit function for a key strategic business unit of an Indian subsidiary. In addition, he has also worked with the corporate finance and telecom practice of other large consulting firms. After (un)graduating out of IIT-Madras as an Engineer in Electronics and Electrical Communication, Rajendran was part of the founding team at Zoho Corporation, then called Vembu Systems. Later, he spent seven years at Xerago, Asia's largest New-Age Marketing Entity, as their Chief Algorithms Officer, managing projects and services for clients including Citibank and Sify. After rejoining Zoho Corporation in 2004, he has been serving multiple roles at the company. He spearheads mobile development at Zoho, with a large team of creative designers and developers that builds mobile Apps for Zoho’s 45 million+ users. He is also a TEDx speaker and a technology evangelist who tries to share hard-earned advice and best practices from his two dozen years of professional experience. He is also the Dean at Zoho University, Zoho's own ongoing social experiment seen by many as a viable alternative to conventional college education. Beyond work, he is a contra-academician at heart. Feeling strongly that the education system in India needs a reboot, he also walked the talk, doing his own small bit by ‘free-schooling’ his son at home. His son is now his colleague at Zoho Corp! Er. BCK Mishra is having more than 31 years of professional experience. He is presently working as Managing Director of Discom of State of Uttarakhand i.e., Uttarakhand Power Corporation Limited (UPCL). He also served as Director (Operation) of state GENCO i.e., UJVN Limited (UJVNL). He began his career from National Hydroelectric Power Corporation (NHPC) after graduated in B.Tech. from IIT BHU, Varanasi in Civil Engineering. During his tenure at NHPC he has been instrumental in Conceptualization, survey, investigation and preparation of DPRs in various projects such as Kotlibhel (1095 MW) in Devprayag, Dhauliganga (280 MW) in Pithoragarh, Kurichu (60 MW) HEP in Bhutan, Rangit (60 MW) in Sikkim and Chamera (540 MW) HEP in Himachal Pradesh. ▪ Highest generation of 24.749 MU in a day on 11.08.2015. ▪ Highest ever generation of 675 MU in a month in Aug, 2015. ▪ Record Annual Generation 4906.26 MU, 5262.82 MU & 4812.11 MU respectively, during 2010-11, 2011-12 & 2012-13 out of which 5262.82 MU is ever highest generation in a year. Modernization & Up-gradation of Galogi, Pathri, Mohammadpur and Khatima Power Stations, construction and commissioning of 4 MW Kaliganga-I SHP in 2012 had been completed under his guidance. Installation of 100kWp Solar Photo Voltaic (SPV) Power Plant at UJVNL Office at Dehradun, feasibility study & DPR preparation for 17575kWp Solar Power Plants at various locations in Yamuna Valley /Ganga Valley and implementation of Solar Photo Voltaic Power Plant (500kWp) at Pathri Power Station in March 2015 is also worth mentioning here. 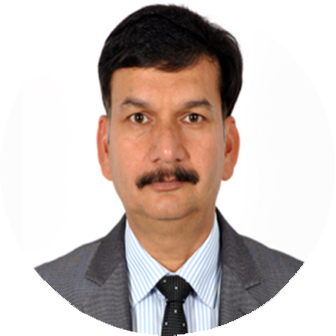 He joined as Managing Director of Uttarakhand Power Corporation Limited (UPCL), on 07.04.2017. UPCL rated into category ‘A+’ (Ranked 4th among 41 Discom’s) in Sixth annual integrated rating of Utilities released in July-2018. Under his leadership we are committed for 24x7 reliable quality power to consumers and making Discom, a profitable utility. He is keen learner as well. 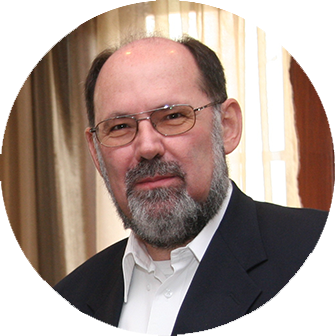 He is a certified Project Management Professional (PMP) from PMI, Pennsylvania. He did MBA (Finance) from ICFAI University and currently perusing PhD. from UPES, Dehradun. He strongly believes in innovations and accepting challenging assignments to prove him and above all to enhance learning. Entrepreneurial mindset leader who has built scaled organisations, Keynote speaker, Leadership Speaker from Jack Welch Institute, Dynamic Leader and Change Coach. Entrepreneurial, strategic and operationally capable business leader with 30+ years of experience in best in class global organisations that have successfully managed scale and growth, while building a global footprint. Proven track record of successfully managing P&L ownership and accountability, business development, CXO client relations, revenue maximisation, cost optimisation, turnaround/restructuring, change management in start-ups, mergers and acquisitions. Global experience and broad general management exposure to ‘what good looks like’ across multiple regions including India, EMEA, APAC and China. An intellectual understanding of the global business context and ability in dealing with multiple perspectives and ambiguity. Recognised as a thought leader, with in-depth understanding of payment industry, e-commerce, brand marketing, global markets and risk management. Accredited rich experience in the BPO/BPM sector, including the last 15 years working at executive level for large multi-nationals with P&L Ownership across India, EMEA, APAC and China. Last role was as the MD & Country Manager for Convergys – India, UK & China. Enriched learning across various industry segments and marquee organisations like General Electric, American Express, EXL, Zenta, HIRCO, HCL, DCM Data Products and Eureka Forbes. Represented organisations in the highest level interactions with global and country leaders (US President, US Secretary of State, PMs of India etc.) in various forums. Member of the BPM Council for Nasscom, actively engaged with USIBC, AMCHAM, FICCI, CII and Assocham. He is India’s First Specially Abled Senior HR Leader, Motivational Speaker, Keynote Speaker for multiple forums in India, Singapore and Nepal ( HRSN), & Women Economic Form etc. In 2016 he was rated amongst the Top 100 influencers in HR in India on Twitter by a rating agency. Build strong teams so they build you’ is the mantra Sandeep has followed in his over two decades of experience as a CHRO with large multinational companies in BFSI, IT/ITES, Media and Healthcare sectors. 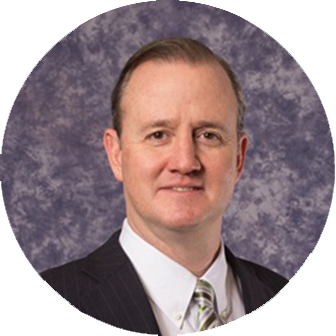 He has held Executive and Regional HR Leadership roles with KPMG, American Express and IBM. In his career he also nurtured 4 startup/new initiatives in the ITeS, Telecom, Media and Healthcare domains as CHRO. As part of his stint with KPMG, he was also a Management Consultant working across India and later based in Doha, Qatar, managing projects in the Middle East. As a CHRO, he led transformational projects like setting up shared services, Derisking Collective Bargaining, HRMS implementation, M&A, Employee Relations, Compensation & Benefits and Leadership Talent Strategy. In these, he managed geographies like India, Sri Lanka and The Philippines. In his largest role, Sandeep was the Regional HR Director with IBM for one of the 25 regions of IBM spanning across BPO, IT Services, Research and Consulting managing over 38,000 people. Sandeep has been active with many industry bodies like CII, AMCHAM and NASSCOM. He has completed an Executive Leadership Programme from Cornell and is an Engineer and MBA. His views on Entrepreneurship, HR Analytics, Leadership, Diversity and Inclusive Work Environments are widely published on social media. Along with these roles cutting across time zones, he has followed his passion in Skilling the Specially Abled through his Not for Profit Foundation and working with children on personality development. He is an ardent dog lover and works with many shelters for animals. Mr Ajit Mishra is a graduate in Civil Engineering from IIT Kanpur, and has Management education from IIM Kolkata. He has undergone training in international procurement, project management, risk management and infrastructure financing. He has over 18 years work experience with Indian Railways in different capacities in construction of railway track, train operations and human resource management. He is a certified professional having vast experience in the field of Project Management, Procurement, Contract Management, Infrastructure Financing and Dispute Resolution. Presently, he is working with Dedicated Freight Corridor Corporation as Chief Project Manager, which is constructing railway track for exclusive transport of freight traffic to decongest Indian Railway track. He has been instrumental in formulating Model Concession Agreement for PPP concessionaire, preparation and evaluation of technical bid document, selection of consultants for legal and technical documents and liaison with different stakeholders. He has also been involved in Procurement of works being conducted through international competitive bidding as ‘Design & Build’ contract based onperformance specification, its execution through specialized Project Management Consultants and coordination with lending agency. He is extending services as Resource Person to United Nations Economic Commission for Europe (UNECE) as PPP Roster Expert, UNECEP–CIDC Faculty for PPP Program, AIMA on Procurement and Institute of Management Studies, IMS Ghaziabad. He has delivered numerous lectures and talks on the project management, procurement and contract management in IIT Delhi, IIT Patna, World Bank, Railways and many other institutes in several countries. He is also extending his services as Arbitrator, Dispute Board Member, Mediator and Conciliator in adjudication of disputes. He has received several awards during service including ‘National Awards of Outstanding Service’ highest award given by Govt of India to an officer. 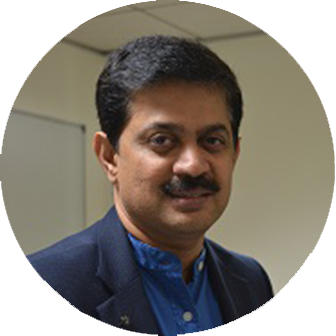 Sreekanth Arimanitahya (Sree) is a seasoned business leader with over 25 years of multifaceted executive leadership experience in Business Transformation, Human Resources Management, Supply Chain, Information Technology and Quality (TQM, PCMM, Six Sigma and COPC). As part of the industry experience, Sree has led Global HR function, performed business roles such as CIO and Country Manager/ Managing Director for large organizations such as Britannia Industries Limited, CA Technologies, GE and Toyota. Over the years, Sree has managed businesses in domains like manufacturing, FMCG, Software and ITES & BPO in a Global business environment and has played a critical role in delivering business advantage through business specific change management and transformation. Currently, as the Senior Vice President, Integrated Workforce Management & India Co-Managing Director, Sree is responsible for global workforce planning and optimization, strategic and operational demand management, talent recruitment and training, and skill management and development. Sree is the member of global executive leadership and also the Co-Managing Director for DXC’s India business operations. Prior to this, Sree served as the Managing Director, India, and Global Head – Workforce Management at CSC. Sree has held several senior executive and leadership positions in Britannia, Computer Associates, GE, Phillips Software and Toyota. He has be instrumental in driving key HR programs in these organizations at WW, Regional and country levels, that enabled organizations deliver business results. He comes with rich cross-cultural experience managing teams across various geographies. Being a Six Sigma Master Belt certified, Sree brings in a system and a process leadership that helped organizations derive positive business impact. Sree specializes in Corporate and Business Strategy, HR strategy & technology, Digital systems of Automation, AI, Machine Learning, Deep Learning, IoT, Design Thinking, Agile Methodology & Talent Supply Chain. 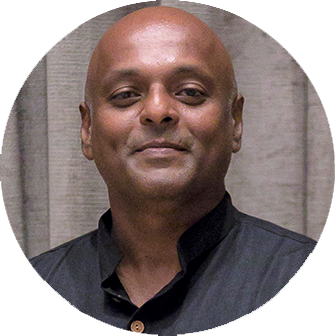 Sree holds a bachelor’s degree in Psychology and a Master’s Degree in Social Work from Loyola College of Social Sciences. Sree’s interests include extensive reading, investing time on new technologies and mentoring the millennial groups of students & young professionals. 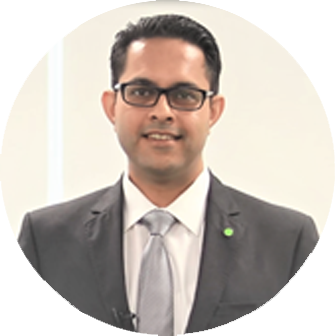 Manish is a Partner with the Risk Advisory practice at Deloitte India and nationally leads the Privacy and Data Protection Services. 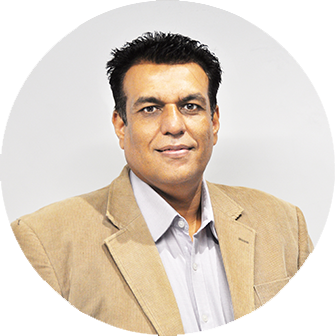 He has led and delivered multiple engagements for clients operating across geographies including APAC, EU and the US. Such engagements involved advisory services related to Regulatory and Contractual Compliances (GDPR, cross-border requirements, privacy rationalisation, data flow maps, policy and framework for data leakage prevention, etc.) IT consolidation (including vendors and processes), establishing and operating Program Management Office (PMO), Independent Reviews, Revenue Assurance, Supplier Risk Management (Governance & Information Security Assessments), IT Application & Infrastructure Security, IT General Computer Controls Reviews, Segregation of Duties, Information Security, Third Party Reporting, Managed Risk Services, Identity & Access Reviews, Data Centre Audits, and other Control Assurance Projects. Manish is the Chair of the Delhi Chapter of International Association of Privacy Professionals (IAPP). As the Managing Director of Alstom India and South Asia, Mr. Alain Spohr is responsible for expanding the Alstom footprint in the country and for ensuring optimized delivery for on-going projects. Mr. Spohr brings with him over 35 years of experience and has been associated with the Alstom group in France on and off since 1982. He has since held several positions heading different business verticals and practices. In his last role, Mr. Spohr was the MD & CEO of the GE/Bharat Forge Joint Venture and the India Country Leader for Steam Power Systems at GE Power. Under his leadership, the company executed a $150 million turbine project within stipulated time and budgets and scaled up its knowledge center in the areas of project management, engineering, construction and commissioning. Mr. Spohr’s strong exposure in Industrial and factory operations helped guide GE through rapid localization, cost reductions and clearing backlogs leading the company to secure unprecedented and significant market share. Mr. Spohr’s rich career in India spans over 14 years which not only gives him a keen understanding on the country’s business environment but also its culture and growth trajectory. He holds a degree in Mechanical Engineering from France. 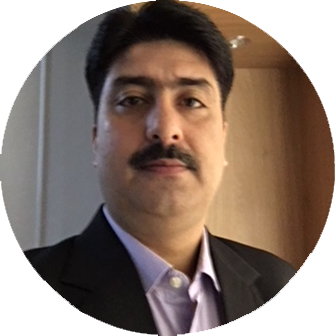 As Director - Integrated Operations, Pradeep Saini is the business enabler for Global Technology Services, Client Innovation Center, IBM India. His business unit underpins the achievement of operational objectives for the center in consonance with business dynamics, client needs and leadership expectation across all GTS India CIC locations. In this role, Pradeep is responsible for planning and carrying out IT infrastructure expansion to match business strategy, maintaining a healthy compliance for SPTI/SEZ, and resource optimization. He is also responsible for ensuring business continuity readiness for all clients served out of GTS India CIC. Pradeep has clocked 27 years in the IT Industry. Before joining IBM in August 2007, he had worked in some of the biggest names in the IT industry including Hewlett-Packard, Electronic Data Systems, LG Electronics, Siemens Nixdorf, and HCL Hewlett-Packard Ltd. In his corporate tenure, Pradeep has been closely involved in some large and ambitious transformation projects in a variety of sectors including the banking, telecom, government and automotive. 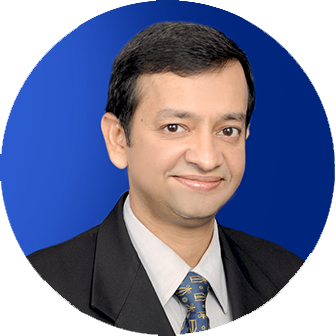 At IBM, Pradeep has been honored with several awards and recognitions including the prestigious ‘Best of IBM’award. Pradeep lives in Delhi with his wife and two children: a son and a daughter. Pradeep is a fitness freak and whenever time permits, he likes to sweat it out in the gym and participate in marathons. 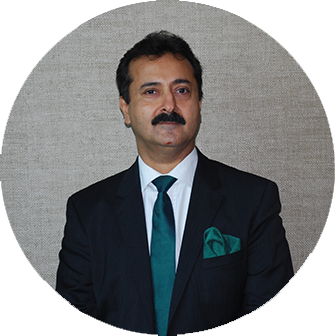 Partho is the Managing Director of KPMG’s Global Delivery Center (GDC). GDC is a robust global delivery platform comprising of a talent pool of 1,300+ professionals in Bangalore, Kochi and Gurgaon, that provides Audit and Advisory professional services to KPMG member firms. 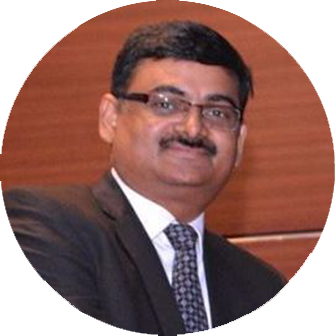 In his current role, Partho is focused on transforming GDC’s capabilities and organizational culture into a process-based, quality-focused, higher value-added industry driven model, making it a world-class global delivery platform that provides high quality, consistent, innovative, scalable and profitable solutions to KPMG member firms. Partho is credited with setting up diverse COE’s in GDC — from core Audit, RPA & Cognitive, Product Integrity, Data & Analytics to Project Management services. 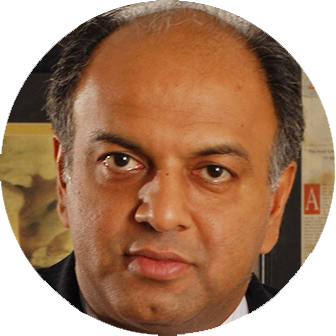 Prior to taking over as the Managing Director at GDC, Partho was the Senior Director of World Wide Finance (of HP’s CFO organization) – working with Global CFO providing strategic leadership in creating the vision and charter, building multi-geography COE’s, managing migrations and integrations of BU Finance organizations, while institutionalizing process excellence practices. Led transformation of Global Expense Management function of HP and centralization of US GAAP COE. Partho has extensive global leadership experience (~21 years, consistently on top leadership talent tracks) in building consolidated corporate functions, managing and expanding global teams (RPA & Cognitive, Analytics, Audit, Financial Control, Strategic Business Planning & Pricing, Process Excellence, Transformation & Re-engineering) in MNCs (HP, Agilent, GE, Gillette, Fiat). Partho has been managing teams across Americas, Europe, Singapore and Malaysia. A member of Indian Civil Accounts Service, he has more than 32 years of experience in public finance, budgeting, government accounts, internal audit, FMIS and IT systems, HR management, and National Wealth Fund management. He is a graduate Civil Engineer from IIT Kanpur with Post Graduate training from University of Adelaide, Australia. During his career he has worked in various ministries and departments including Ministry of Environment, Forests & Climate Change in the National River Conservation and implementation of Coastal Regulation Zone. 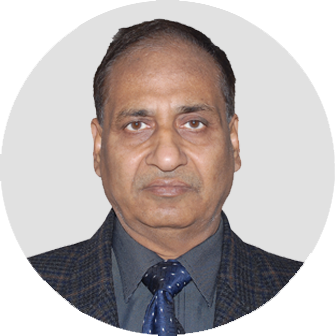 He also worked as Professor (Information Technology) in the National Institute of Financial Management, Faridabad. He has also worked in the United Nations, The World Bank and International Monetary Fund as Treasury Advisor in the countries of Timor-Leste and Antigua & Barbados. In Timor-Leste, he also advised on management of the country’s Sovereign Wealth Fund. He is an avid yoga practitioner and participates in social welfare activities of Dhyan Foundation. 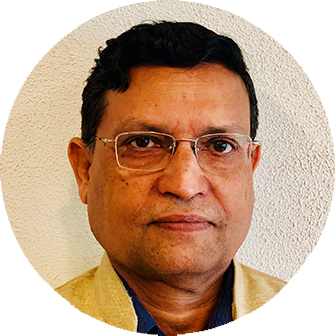 Dr Ashok Kumar is a highly qualified and well-recognized transport professional with 40 years of professional experience and strong knowledge of policy, technical, management, and institutional aspects as well as proven ability to apply that knowledge on the ground. Known for strong research background and analytical skills, holistic view of the transport sector, excellent knowledge of international best practices, long operational experience of preparing and implementing transport sector projects, and passion for innovation and knowledge sharing, and producing results in low-capacity and complex environments. His key areas of expertise include asset management, development of sector policies, institutional development, and green and climate resilience. 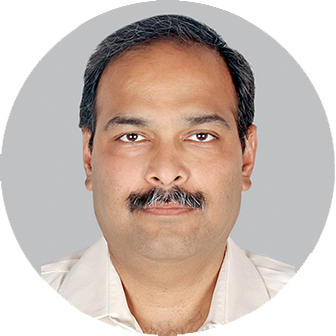 Arun Kakru is Currently Working as Senior Program Manager at IFS India (A Swedish ERP Company), with Prime responsibility of Delivery and Implementing IFS ERP. A Computer Science Engineer Graduate professional with nearly 20 years of rich and extensive experience in IT industry and Expertise in ERP implementation, medium to large scale operations in both domestic & Globally. Involved in Consulting and Project Management roles, in more than 10 High and complex End to End ERP Implementations ,Upgrades across various Industries both PSU’s and Multi Country Operations . Prior to working with IFS , Worked in Easter Software Systems Ltd, Summit Information technologies. Tanmoy Prasad has around 23 years experience in field of Information technology. He has been working in eGovernance domain for last 13 years. He has recently joined as CTO, Ministry of Road Transport and Highways. In his current role, Tanmoy is focused on transforming MoRTH’s IT capabilities. He is spear heading eDISHA initiative, which will create a Digital platform for managing Highway Assets digitally. Prior to this he has worked as Sr. Vice President in Government eMarket Place (GeM). He was Strategy Manager for Services vertical, which included conceptualization of services as well as managing Operations of the portal. As part of his role in GeM he introduced more than 20 services at the Market place. 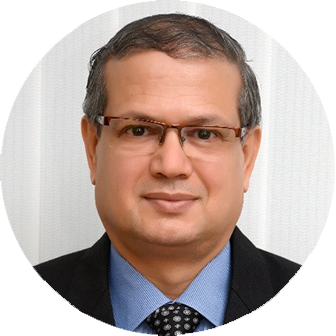 Working as Chief Information and Technology Officer at Food Safety and Standards Authority (FSSAI) he formulated the IT strategy for the organization and also established an IT division within FSSAI. All major functions of authority was brought on online mode. From 2009-2015 he was IT advisor to Secretariat of IT, Government of Haryana and was heading the Common Infrastructure Management Team of Haryana. Before Joining Government of Haryana, he was part of Ministry of Corporate Affairs looking after prestigious MCA21 project and DEITY looking after National eGovernance Service Delivery Gateway i.e. NSDG. He is a PMP and volunteered to be part of Official Translation Verification committee of PMI for Translation of Project Management Body Of Knowledge (PMBOK) version 5 & 6 and Agile Practice Guide to Hindi.